Our loose mineral poweder veil is the last step to a flawless face. 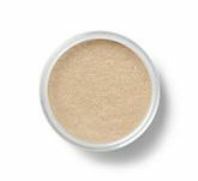 It is translucent and melts into the skin to absorb oil and soften the complexion Recommended for oily skin types and on the T-zone of normal to combination skin types. Buff into bare skin or apply over your loose mineral foundation.